Professional Status: Retired Professor of Anthropology/Sociology, University of Texas Rio Grande Valley. El Colegio de Tamaulipas, Cd. Victoria, Tamaulipas, Mexico. The Mexican National Catholic Church, April 17, 2016. The University of Texas at Austin, Austin, Texas. Major and Emphasis: Physical/Medical Anthropology; Kinesiology and Health; Mexican American and Mexican populations; U.S.-Mexico border region. 1973, Master of Arts in Anthropology, The University of Texas at Austin, Austin, Texas. 1969, Associate of Arts, Texas Southmost College, Brownsville, Texas. 2018 Member, Brownsville Independent School District, Brownsville Academic Center, Site-Based Decision-Making Committee. 2018 Board Member, The Good Neighbor Settlement House, Brownsville, Texas, is a non-profit, multi-service agency serving needy persons by providing the basic necessities of life in the La Buena area of Brownsville. 1993-1988 Executive Director, Community Oriented Primary Care Association, (COPRIMA) Brownsville, Texas. 1992-1977 Director, The South Texas Institute of Latin and Mexican American Research, Border Research. Founding editor of: The Borderlands Journal, Texas Southmost College. 1987-1986 Executive Director, The Community Oriented Primary Care Program, The University of Texas Medical Branch, Department of Pediatrics, Administered in Brownsville, Texas. 2018-2016 Honorary Professor of Anthropology and U.S. Mexico Border Studies, El Colegio de Tamaulipas, Cd. Victoria, Tamaulipas, Mexico. 2010 Summer “Traditional Medicine without Borders: Curanderismo in the Southwest & Mexico,” The University of New Mexico, Summer 2010. 2006-1994 Adjunct Assistant Professor, Department of Kinesiology, School of Education, The University of Texas at Austin. 2006-1987 Adjunct Assistant Professor, Department of Pediatrics, The University of Texas Medical Branch (UTMB), Galveston, Texas. 1985 Visiting Associate Professor, in Latin American Studies, The University of Texas at Austin. Mellon Fellow for the study “Maquiladoras and Cultural Change,” Austin, Texas. 1981 Visiting Associate Professor, in Anthropology and Physical Education, Department of Anthropology, The University of Texas at Austin, Austin, Texas. 1979-1977 Adjunct Assistant Professor, in Anthropology and Sociology, Pan American University, Brownsville, Texas. 1976-1973 Teaching Assistant, in Anthropology, Department of Anthropology, The University of Texas at Austin, Austin, Texas. 1973-1972 Instructor, in Anthropology, Extension Division, The University of Texas at Austin, Austin, Texas. 1972 Teaching Assistant, in Anthropology, Department of Anthropology, The University of Texas at Austin, Austin, Texas. Zavaleta, Antonio N. and Mitchell Kaplan, accepted for publication expected 2018, Immigrant “Caging” on the Texas-Mexico Border, Vol. 16, More Studies in Rio Grande Valley History, edited by, Milo Kearney, Anthony Knopp, Antonio Zavaleta and Thomas Daniel Knight The University of Texas Rio Grande Valley, Brownsville, Texas. Zavaleta, Antonio N. accepted for publication expected 2018, The Bracero Program, The Chicana and Chicano Movement: From Aztlan to Zapatistas: A Reference Encyclopedia for Movements of the American Mosaic Series, Edited by Norma Iglesias Prieto and Adelaida R. Del Castillo, ABC-CLIO, Santa Barbara, California. Zavaleta, Antonio, N., 2018, Plantas Alucinógenos de las Mayas y Nahuas en el tiempo pre-Columbiano. Accepted for publication, Universidad Autonoma de Tamaulipas, Mexico. Kaplan M. A. and Antonio N. Zavaleta, 2017, Cultural Competency the Key to Latino Health Policy, Harvard Journal of Hispanic Public Policy, John F. Kennedy School of Government, Harvard University, Cambridge, Mass. Published online February 25, 2017. Zavaleta, Antonio N. 2017, Costumbres: Polite Society and Cultural Customs of Mexico, in Etiquette and Taboos around the World: A Geographic Encyclopedia of Social and Cultural Customs, Edited by Kenneth Taylor, ABC-CLIO, Santa Barbara, California. Zavaleta, Antonio N. 2017, Latino Social Identity and the Cultural Influence of the Supernatural, Encyclopedia of Social Psychology Edited by Randal Summer, ABC-CLIO, Santa Barbara, California. Zavaleta-Reid, Antonio and Rodrigo Vera Vázquez, 2016, Inmigración infantil en el valle del bajo Rio Grande del sur de Texas, In: Riesgos en la migración de menores mexicanos y centroamericanos a Estados Unidos de América, Edited by: Oscar Misael Hernández-Hernández, El Colegio de Tamaulipas, Ciudad Victoria, Tamaulipas. www.coltam.edu.mx. 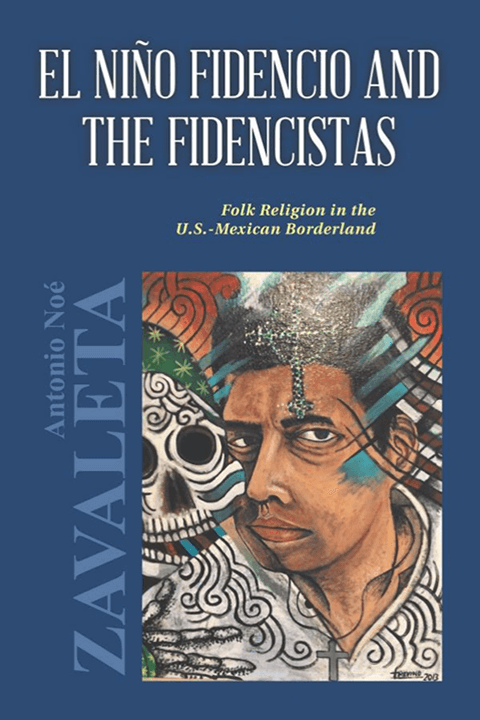 Zavaleta, Antonio N., 2016, El Niño Fidencio and the Fidencistas: Folk Religion in the U.S.-Mexico Borderland, Authorhouse-Penguin, Bloomington, IN. Zavaleta, Antonio N. 2012, Medicinal Plants of the Borderlands: A Bilingual Resource Guide, Authorhouse, Indiana. Zavaleta Antonio 2010, Forward in: Tucker, Phillip, Exodus from the Alamo: The Anatomy of the Last Stand Myth, Casemate Publishing, Havertown, PA.
Zavaleta, Antonio N. 2010, The Sacred and the Profane in the Rio Grande Valley, In, El Valle: The Rio Grande Delta, published by Gorgas Science Foundation, Brownsville, Texas. 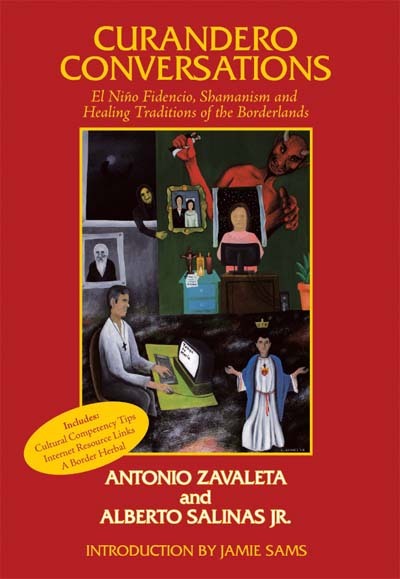 Zavaleta, Antonio N. and Alberto Salinas 2009 Curandero Conversations: El Niño Fidencio, Shamanism and Healing Traditions of the Borderlands, Authorhouse, Indiana and The University of Texas at Brownsville, Brownsville, Texas. Zavaleta, Antonio N. and Cesar Munoz, 2009 Diles Quién Eres: Honrando a las familias pioneras del Río Bravo del Norte, In: Espacios, Poblamiento y Conflicto en el Noreste Mexicano y Texas, Edited by Ruth Arboleyda Castro, John Hawthorne, Gerardo Lara Cisneros y Gustavo Ramirez Castilla, The University of Texas at Brownsville. Zavaleta, Antonio N. 2008, Tell them who you are: Honoring Pioneer Families of El Rio Bravo del Norte, In: Additional Studies in Rio Grande Valley History, Edited by Milo Kearney, Anthony Knopp and Antonio Zavaleta, Vol. 8, The University of Texas at Brownsville. Sandstead, Harold et. al. 2008, Zinc deficiency in Mexican American children: influence of zinc and other micronutrients on T cells, cytokines, and anti-inflammatory plasma proteins, American Journal of Clinical Nutrition 2008; 88:1067-73. Zavaleta, Antonio N., James E. Zavaleta and Theresa Zavaleta, 2006, The Zavaleta Family: A Legacy of Public Service, In, Studies in Rio Grande Valley History, Vol. 7, Edited by, Kearney, Knopp and Zavaleta, The University of Texas at Brownsville. Zavaleta, Antonio N., 2005, Colored Death: The Tragedy of Black Troops on the Lower Rio Grande 1864-1906, In, Studies in Rio Grande Valley History, Vol. 6, Edited by, Kearney, Knopp and Zavaleta, The University of Texas at Brownsville. Pp. 343-360. Zavaleta, Antonio N. and Rachel Barreda 2004 Curanderismo Bibliography, The University of Texas at Brownsville. Antonio N., October 2003, “Los Olvidados-The Forgotten Ones,” In: The Ghosts of Fort Brown: An Informal Study of Brownsville Folklore and Parapsychology, Edited by, John Hawthorne, Javier Garcia and Justin Lawrence, Arnulfo L. Oliveira Society Press, University of Texas at Brownsville, pp. 23-29. Acevedo, Baltazar and Antonio Zavaleta (facilitator-editors), 2002, The Falfurrias Dialogue, Closing the Gaps: The Regional Challenge, UTB-CBIRD. Perkins, Jimmy, Antonio Zavaleta, Gia Mudd, Mary Bollinger, Yvonne Muirhead and Jose Cisneros, 2001, The Lower Rio Grande Valley Community Health Assessment, The University of Texas Health Science Center at Houston, School of Public Health. Zavaleta, Antonio N., 2001, Dust Jacket Editorial Comment, In The Final Fury: Palmito Ranch The Last Battle of the Civil War, by Phillip Thomas Tucker, Stackpole Books: Mechanicsburg, PA.
Penland, J., Sandstead, H., Egger, N., Dayal, H., Alcock, N., Plotkin, R., Rocco, C. and Zavaleta, A., 1999, Zinc, Iron and Micronutrient Supplementation Effects On Cognitive and Psychomotor Function of Mexican-American School Children, FASEB J; 13:A921, Abstract 683.4. Presented as a poster at the Experimental Biology Conference, 1999. Egger, N., Sandstead, H., Penland, J., Alcock, N., Plotkin, R., Rocco, C. Dayal, H., and Zavaleta, A., 1999, Zinc Supplementation Improves Growth in Mexican-American Children, FASEB J; 13: A246, Abstract 217.17. Presented as a poster at the Experimental Biology Conference, 1999. Zavaleta, Antonio, 1998, El Niño Fidencio: Un Santo Popular Para El Nuevo Milenio, SOCIOTAM: Revista International de Ciencias Sociales y Humanidades, Cd. Victoria, Tamaulipas, México, Vol. VIII, No. 3, Jul-Dic, pp.149-178. Zavaleta, Antonio, 1998, El Mercado Sonora: A Witches’ Market, documentary film by Antonio Zavaleta, Michael Van Wagenen, and Monica Delgado, College of Liberal Arts, The University of Texas at Brownsville. Zavaleta, Antonio, 1998, El Niño Fidencio and the Fidencistas, In OTHERS: Sociological Analysis of Non-normative Religious Groups, Edited by: William Zellner, Greenwood Publishing Group, Westport Connecticut. Spielberg, Joseph and Zavaleta, Antonio, 1997, Historic Folk Sainthood along the Texas-Mexico Border, Vol.5, In: Studies in Matamoros and Cameron County History, edited by Kearney, M., Knopp, A. and Zavaleta, A. The University of Texas at Brownsville and Texas Southmost College: Brownsville, Texas, pp. 347-75. Zavaleta, Antonio, 1996, Doctores Espirituales, Documentary film and discussion presented at the XII Festival Internacional de la Raza, Matamoros, Tamaulipas, México. Zavaleta, Antonio, Van Wagenen, Michael, and Delgado, Monica, 1996, Spirit Doctors, documentary film, co-produced by Brigham Young University, Department of Anthropology and The University of Texas at Brownsville, College of Liberal Arts. Padre Island, Texas, October 25, 1996. Texas at Brownsville, Brownsville, Texas, pp. 313-27. Zavaleta, Antonio N., 1994, El Niño Fidencio Film Project, a student documentary film co-produced by The University of Texas at Austin, College of Communication Graduate Film Office and The University of Texas at Brownsville, College of Liberal Arts. Zavaleta, Antonio, 1994, Opening comments, In Transcripts of the First Annual Palo Alto Conference, Edited by Aaron P. Mahr Yanez, Palo Alto Battlefield National Historic Site, Southwest Region, National Parks Service, Brownsville, Texas. Brownsville, Texas and Matamoros, Mexico, Traffic Engineers, Inc., Houston, Texas. Zavaleta, Antonio N., Finkelstein, Jordan W., and Rocco, Carmen D., 1992, A Modified Community Oriented Primary Care Model for the Delivery of Migrant Health Care, Texas Journal of Rural Health, First Quarter. Brownsville, Brownsville, Texas. pp. 3-30. 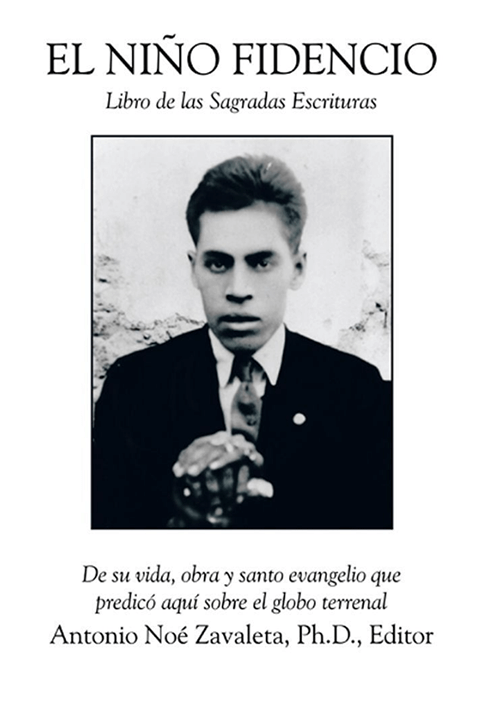 Zavaleta, Antonio N., 1989, Introduction, In Across the Border: The True Story of the Satanic Killings in Matamoros, Mexico, by, Gary Provost, pp. 15-18. COPRIMA IPA-HMO Model 1986-1989, COPRIMA, Brownsville, Texas. Malina, R.M., Zavaleta, A.N., and Little, B.B., 1987, Body Size, Fatness and Leanness of Mexican American Children in Brownsville, Texas: Changes between 1972 and 1983. American Journal of Public Health, Vol. 77, pp. 573-577.
and 1983, Human Biology, Vol. 59, pp. 509-522.
of Physical Anthropology, Vol. 72, pp. 89-94. Change, The Borderlands Journal: Special Texas Sesquicentennial Issue, Vol. 10, pp. 161-172. Muller, W. H., Joos, S. K., Ferrel, R. E., Zavaleta, A.N., Eichner, J. and Schull, W. J., 1984, Upper Body Fat Patterning Associated with Type II Diabetes in Mexican Americans, Diabetes Abstracts, Vol. 32, p. 108. Muller, W. H., Joos, S. K., Hanis, C. L., Zavaleta, A.N., Eichner, J., and Schull, W. J., 1984, The Diabetes Alert Study: Growth, Fatness, and Fat Patterning, Adolescence through Adulthood in Mexican Americans, American Journal of Physical Anthropology, Vol. 64, pp. 389-399. Palmas, The Borderlands Journal, Vol. 6, pp. 111-150. Borderlands,” Edited by Antonio Zavaleta, Vol. 5, pp. 185-200. Education, Special Education Services pp. 36-66. Zavaleta, Antonio N., 1981, A Study of the Unique Factors Affecting ‘Quality of Work life’ in a Bicultural Environment, RIMIR, S.A. de C.V., Matamoros, Tamaulipas, Mexico. Zavaleta, Antonio N., 1981, A Study of the Housing Conditions in San Benito, Texas, City of San Benito, Community Development Block Grant Program, U.S.D.H.U.D. Advances in the Field: Farm worker Policy Impact Project, Vol. 1, pp. 2-5. Zavaleta, Antonio N., 1981, Variations in Hispanic Health Status, Research Bulletin, Hispanic Research Center, Fordham University, Vol. 4, pp. 1-5. Texas, Agenda: A Journal of Hispanic Issues, Vol. 11, pp. 19-25. Zavaleta, Antonio N. and Malina, R.M., 1981, Secular Trend in the Stature and Weight of Mexican American Children in Texas Between 1930 and 1970, Offprint Series, No. 219, Institute of Latin American Studies, The University of Texas at Austin. Zavaleta, Antonio N., and Malina, R.M., 1981, Growth, Fatness, and Leanness in Mexican American Children, Offprint Series, No. 227, Institute of Latin American Studies, The University of Texas at Austin. Journal, Vol. 3, No. 1, pp. 31-32, and Part 2, Vol. 3, No. 2, pp. 17-18. Journal, Vol. 3, pp. 187-191. Publication No. (PHS) 80 3288, p.38. Borderlands, The Borderlands Journal, Vol. 4. Zavaleta, Antonio N. and Malina, R.M., 1980, Growth, Fatness, and Leanness in Mexican American Children, American Journal of Clinical Nutrition, Vol. 33, pp. 2008-2020. Physical Anthropology, Vol. 52, pp. 453-461. Agenda: A Journal of Hispanic Issues, Vol. 9, pp. 4-7. American Women, Journal of Studies on Alcohol, Vol. 40, pp. 480-484. Students, South Texas Journal of Research and the Humanities, Vol. 3, pp. 53-67. Mallouf, R. J. and Zavaleta, A.N., 1979, The Unland Site: A Prehistoric Group Burial from Laguna Atascosa National Wildfire Refuge Cameron, County, Texas, Texas Historical Commission, Office of the State Archaeologist, Special Report, No. 25.
of Science, Institute of Medicine, National Academy Press, Washington, DC. Brownsville, Texas, South Texas Journal of Research and the Humanities, Vol. 1, pp. 97-114. Field Athletes, Annals of Human Biology, Vol. 3, pp. 441-446. American Boys, Abstract, American Journal of Physical Anthropology, Vol. 44, p. 216. Zavaleta, Antonio N., 1976, Densitometric Estimates of Body Composition in Mexican American Boys, Unpublished Doctoral Dissertation, The University of Texas at Austin. Abstract, American Journal of Physical Anthropology, Vol. 42. pp. 341-342. Brownsville, Texas, Abstract, American Journal of Physical Anthropology, Vol. 40, p. 157. Zavaleta, Antonio N., November 16, 2017, UTRGV International Education Week, The Beauty of Living on Borders, A panel discussion, Cassia Salon, UTRGV, Brownsville, Texas. Zavaleta, Antonio N., November 1, 2017, Speaker Texas AARP, Dia de los Muertos, Brownsville, Texas. Zavaleta, Antonio N., October 27, 2017, Speaker at the MHMR Conference, Latino Folklore and its impact on Belief and Mental Health Treatment Modalities, South Padre Island, Texas. Zavaleta, Antonio N., October 16, 2017, Speaker on a panel discussion on the U.S. Mexico Border, L.B.J. School of Public Affairs, The University of Texas at Austin. Zavaleta, Antonio N., October 14, 2017, Speaker on USCT at Fort Brown Texas, National Counter Intelligence Corps Association (NCICA), South Padre Island, Texas. Zavaleta, Antonio N., September 26, 2017, Speaker Texas AARP, Tejano Folk-Medicine, Brownsville, Texas. Zavaleta, Antonio N. May 20, 2017, Speaker at Pre-Columbian America: Raza de Bronce an Exhibit, Historic Brownsville Museum, Brownsville, Texas. Zavaleta, Antonio N. April 22, 2017, Speaker at the Texas Southmost College Inaugural South Texas Male Student Leadership Summit, in partnership with The Texas Education Consortium of Male Students of Color. Zavaleta, Antonio N. April 22, 2017, El Niño Fidencio and the Fidencistas: Folk Religion on the U.S.-Mexico Borderland, A Reading and Book Signing sponsored by the Brownsville Historic Museum. Zavaleta, Antonio N. March 30, 2017, The Human Tragedy of Unaccompanied Child Immigrants to the U.S.-Mexico Border, Distinguished Speaker Series, Immigration Reform, Texas Southmost College. Zavaleta, Antonio N., February 26, 2017, The Tragic Deaths of Colored Soldiers, Black History Month celebration, Harlingen, Texas. Zavaleta, Antonio N., August 13, 2016, Colored Death: Colored Death: The Tragedy of Black Troops on the Lower Rio Grande 1864-1906, The Brownsville Raid 110th Anniversary, Panel Discussion, The Brownsville Historic Association, Brownsville, Texas. Zavaleta, Antonio N. October 24-25, 2015, Understanding Latino Spiritual Healing- Curanderismo, Plenary Presentation to the Mind, Body and Spirit Conference, South Padre Island, Texas. Zavaleta, Antonio N. October 15, Understanding Curanderismo, The University of Texas at Austin, Writing the Border Narrative, Professor Oscar Casares. Zavaleta, Antonio N. June 1, 2015, Curanderismo and the Maintenance of Chronic and Terminal Illness, Plenary Presentation to the HIV-AIDS conference, South Padre Island. Zavaleta, Antonio N. July 1, 2014, Key Note presentation at the Congreso por los Derechos de la Infancia y la Adolescencia: Hacia Una Nueva Gramatica de los Derechos Humanos en Tamaulipas, Cd. Victoria, Special Invitation and Panel Presentation. Zavaleta, Antonio N. May 26, 2014, Understanding Latino Folk-Religion, Curanderismo, Union Theological Seminary of New York, Columbia University, Traveling and studying the U.S.-Mexico border. Presented to the Dean, faculty, students and European visitors at The University of Texas at Brownsville. Zavaleta Antonio N. October 19, 2013 Invited presentation at the Texas State Master Gardener Conference, Medicinal Plants of the Borderlands, McAllen, Texas. Zavaleta Antonio N. October 16, 2013 Special Staff training presentation for the Brownsville Community Health Center, Brownsville, Texas. Zavaleta, Antonio N. October 2013, Conference on Battlefield Archaeology, invited presentation entitled, A Rapid Ethnographic Assessment of the Matamoros-Brownsville community regarding the creation of a National Historic Battlefield Site at Palo Alto. (Presentation prepared for conference which was postponed due to the shutdown of the Federal government in October 2013). Zavaleta, Antonio N. 2012 Presentation: Curanderismo on the U.S.-Mexico Border, to the students of the Union Theological Seminary of New York City traveling and studying the U.S.-Mexico border. Zavaleta, Antonio N. Border Book Fair/Feria Fronteriza del Libro, Lecture and Book Signing, Curandero Conversations: El Niño Fidencio, Shamanism and Healing Traditions of the Borderlands, ITECC Campus, Brownsville Texas. Zavaleta, Antonio N. October 26-28, 2011, Presentation: La Transmigración de la religión popular: práctica y renovación de creencias sincréticas a través de la frontera México-EUA, Quinto Coloquio Internacional del Noreste Mexicano y Texas: Miradas Cruzadas: Cultura Y Frontera, Mesa 7: Religiosidad e instituciones religiosas, Museo Nacional de Antropología, Mexico, D.F. Zavaleta, Antonio N. May 27, 2011 Presentation on the U.S.-Mexico Border and Folk-Religious Beliefs, to visiting scholars and students from Bluffton University of Ohio, The University of Texas at Brownsville. Zavaleta, Antonio N. May 2, 2011 Presentation to the International Visitor Leadership Program, Combating International Crime, U.S.-Mexico Border Violence, The University of Texas at Brownsville and Texas Southmost College. Zavaleta, Antonio N. 2010, La Transmigración de la Religion Polular: Practica y Renovación de Creencias Sincréticas a travez de la Frontera México-Americana (The Transmigration of Popular Religion: Praxis and Renewal of Syncretic Faiths Across the U.S.-Mexico Border) Accepted for presentation at the XIII Encuentro de la Red de Investigadores del Fenómeno Religion en México, Monterrey, Nuevo Leon, May 26-28, 2010. Presentation prepared but not delivered due to UT-System prohibition of travel to Mexican Border States in May 2010. Zavaleta, Antonio N. October 20-23, 2009 Fourth Coloquio Internacional del Noreste Mexicano y Texas: Puentes y Barreras en el Pasado y en el Presente del Noreste de México y Sur de Texas, The University of Texas at Brownsville, Conference host, panel moderator, and presenter. Mesa 7: Understanding the Local Response to the Palo Alto National Historic Site. Zavaleta, Antonio 2009 The United States of America vs. The University of Texas at Brownsville and Texas Southmost College, a paper presented at the Society for Applied Anthropology, 69th Annual Meeting March 17-21, 2009, Santa Fe, New Mexico. Zavaleta, Antonio N., July 2003, Hispanic/Latino Alternative, Complementary, Integrative, and Unconventional Health Practices and their Importance in the Allopathic Medical Model, Presented at a seminar at the University of Texas Health Sciences at San Antonio, Regional Area Health Center, Harlingen, Texas. Zavaleta, Antonio N., April 2002, Hispanic/Latino Alternative, Complementary, Integrative, and Unconventional Health Practices and their Importance in the Allopathic Medical Model, Presented at a seminar at the University of Texas Health Sciences at San Antonio. Zavaleta, Antonio N., 2000, Do Cultural Factors Affect Hispanic Health Status, prepared for the UT-Health Science School of Public Health-Brownsville. Zavaleta, Antonio N., 2000, Addressing Hispanic Health Problems in the 21st Century, a presentation and panel discussion presented at the University of Texas System Texas-Mexico Border Health Coordination Office Conference, South Padre Island, Texas. Zavaleta, Antonio N., April 2000, The UTB/TSC model for Workplace Biliteracy, White House Initiative on Educational Excellence for Hispanic Americans, Spring Policy Seminar Series, K-16 Strategies for a Bi-literate Workforce, Washington, D.C.
Zavaleta, Antonio N., April 2000, The UTB/TSC model for Workplace Biliteracy, Roundtable on Strategies for a Bi-literate Workforce Outline of Key Issues, Office of Personnel Management, Washington, D.C.
Sandstead, H., Penland, J., Prasad, A., Egger, N., Alcock, N., Carroll, R., Dayal, H., Zavaleta, A., Rocco, C., Plotkin, R., Milan, A. & Arambula, M., 2000, Zinc Deficiency in Mexican-American Children, presented as a poster at the 2nd Meeting of the Association for Patient Oriented Research, Crystal City, Va.
Zavaleta, Antonio, 1999, Curanderos y Personas de Tercer Edad: A Multicultural Model for the Effective Support of a Healthy Latino Elderly, a paper and panel discussion presented at the University of Texas System Texas-Mexico Border Health Coordination Office Conference, South Padre Island, Texas. 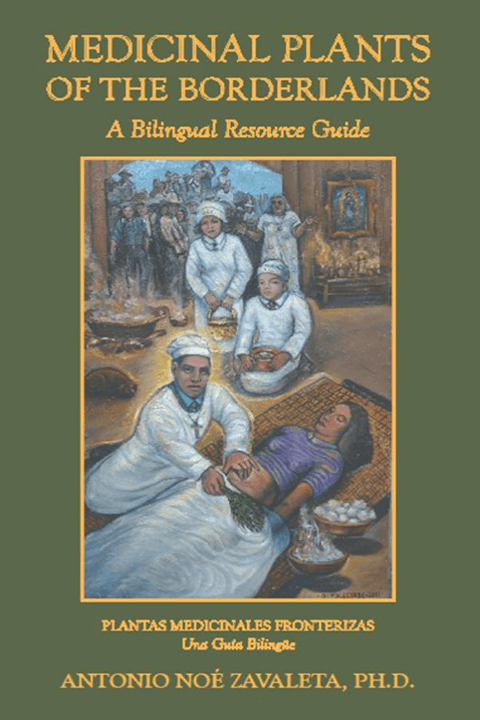 Zavaleta, Antonio N., 1992, El Doctor Divino: Spiritist Healing in the Mexican American Community, a paper presented at the VI International Conference on Traditional and Folk Medicine, Texas A&I University, Kingsville, Texas. Zavaleta, Antonio N., 1989, Curanderismo in a Changing World: Border Folk Healing Traditions for the 1990’s, a paper presented at Texas A&I University, Kingsville, Texas. 2017-Ongoing Matachine Dance as an expression of protest and religious fervor in Mexico and the American Southwest. 2017-Ongoing The immigration of unaccompanied minors from Central American and Mexico to the U.S.-Mexico Border. 2017- Ongoing The Practice of Mexican Witchcraft “Brujeria” in a Northern Mexican, field research. 2017-Ongoing The Socio-Economic Impact of Border Instability “The Spillover Effect” on the Texas Border. 2017-1985 El Niño Fidencio: Mexico’s Most Important Curandero–A Folk Saint for the New Millennium. 2014 Coordinated a major TV documentary field shoot for True-Crime documentary series called Killer Couples, for Oxygen Network, Rudy Fischmann, Producer, June 2014. 2014 Coordinated a major TV documentary field shoot for NBC Investigates, Diamaris Welch producer, May 2014. Followers of El Niño Fidencio. The study includes an ethnographic film examining health care delivery from an anthropological and mental health perspective. 2017-1985 Medicinal Plants of the U.S.-Mexico Borderlands. 2013-2008 Major writing project: The Lost Scriptures of El Niño Fidencio: The Origins of Fidencismo 1925-1975. 2010-2003 Cross-Border Mental Health Needs and Services Assessment Project, UTB-CBIRD, Project Co-coordinator. 2009-2002 Major writing project: Curandero Conversations: El Niño Fidencio, Shamanism and Healing Traditions of the Borderlands, published summer 2009.
the University of Texas Medical Branch (UTMB)-COPRIMA, Inc. Confidential, Aired nationally, 2005, Part 2. 2002 Coordinated a major TV documentary field shoot for A&E City Confidential, Aired nationally, August 25, 2003, Part 1. 2001 Coordinated a major TV documentary field shoot on Mexican Witchcraft for The National Geographic Society, at the Mercado Sonora, in Mexico City. and Northern Mexico. In association with Dr. Joseph Spielberg of Michigan State University. 1998 Zinc Deficiency in Mexican American Children, 1998, Harold Sandstead, J. Penland, A. Prasad, N. Egger, N. Alcock, R. Carroll, H. Dayal, A. Zavaleta, C. Rocco, R. Plotkin, A. Milan and M. Arambula, The University of Texas Medical Branch, Galveston, TX. The USDA-ARS Human Nutrition Research Center, Grand Forks, ND, the Wayne State SOM, Detroit, MI; The University of Texas at Brownsville, Brownsville, Texas & the Brownsville Independent School District, Brownsville, Texas. Gottlieb of The University of Texas at Austin. University of Texas at Austin, and the Andrew Mellon Foundation. No. 06H-000572-06, conducted in Brownsville, Texas. Children in Brownsville, Texas: Ten Year follow-up study. conducted in Rio Grande City, Texas. Experience, Cooperation and Evaluation in the Work environment, Conducted in three maquiladoras in Matamoros, Tamaulipas, Mexico. Delivery Systems in the Lower Rio Grande Valley of Texas. of the Northern Mexican Populations. 1975-1974 A Study of the Body Composition of Mexican American Boys, with special reference to their nutritional and health status, Department of Kinesiology and Health Education, The University of Texas at Austin. 2018 Member, Brownsville Independent School District, Brownsville Academic Center, Decision Making Committee. 2018 Board Member, The Good Neighbor Settlement House, Brownsville, Texas. 2017 Member, La Buena Vida Choice Neighborhood Plan, Education and Job Development Working Group. 2017 Expert for TV production Discovery Investigation, the Mark Kilroy case, Brownsville, Texas May 2017. 2017 Chairman, TSC African American Historical Marker committee. 2017-2016 Texas Southmost College Board of Trustees. 2014 Expert for TV production, Killer Couples on the Oxygen Network dealing with the Mark Kilroy case. 2014 Member-Advisor for the One Day on Earth film Project. 2014 Member Civil War Trail Stakeholders committee, The University of Texas Pan American CHAPS Program. 2014 Expert on Folk Magic for the NBC Investigative film project. 2014 Director, Texas Center for Border and Transnational Studies, The University of Texas at Brownsville. Greenwood Press, Maria Sobek Herrera Senior Editor. 2009 Founding and incorporating board member of Border Ambassadors, Inc.
2004-2002 Board Member, COPRIMA, Inc., Brownsville, Texas. 2002-2001 Board Member and Officer, Unidos Podemos, Inc., Brownsville, Texas. 2004-2001 Board Member, Su Clinica Familiar, Inc., Harlingen, Texas. Houston Health Science Center, School of Public Health, Brownsville Satellite campus. 2001 Member, City of Brownsville’s Winning, “All America City” application, Atlanta, Georgia. 2002-1999 Member, Texas Border Infrastructure Coalition. 2000-1999 Chairman, City of Brownsville, Complete Count Committee. 2004-2000 Ex-officio Board Member, Brownsville Downtown Development Corporation. 2000 Member, The University of Texas Health Science Center at Houston, School of Public Health, Health Needs Assessment Advisory Committee. 2004-1999 Member, The University of Texas System K-16 Taskforce. 2004-1999 Member, The University of Texas System Governmental Relations Advisory Committee (GRAC). 1999 Member, University of Texas Health Science Center in San Antonio, Regional Area Health Center Dean Search Committee. 2004-1998 Member, Dean Porter Park Restoration Project Mural Committee. 2001-1997 Commissioner, City of Brownsville, Civil Service Commission. 1996 Charter Member, Cameron Works Inc. (Cameron County Workforce Board). 1993-1989 Member of the National Advisory Council on Migrant Health, U.S.D.H.H.S. 1993-1978 Chairman and Member of the Board of Directors of Su Clinica Familiar, A federally funded migrant and community health center in Cameron and Willacy Counties, Texas. 1992 Member of the University of Texas Valley Health Commission. 1983-1991 Member of the City of Brownsville, Texas, City Commission, and Mayor Pro- Tempore. 1985-1991 Member of the Lower Rio Grande Valley Development Council, Health Planning Advisory Committee. 1985-1991 Member of the Lower Rio Grande Valley Development Council, Indigent Health Care Task Force. 1990-1992 Member of the Project Hope, Community Health Aide, Advisory Committee. 1990 Member, Assessment of Health Care for Hispanic Individuals, HRSA 240-89-0045, Health and Sciences International Incorporated, Lewin/ICF, Advisory Committee. 1990 Member, Bi-National Health Study Committee, Cameron County Health Department, University of Texas Health Science Center, Houston. 1989-1990 Participant, MSIP, Minority Science grant, UT-Pan American Edinburg and Texas Southmost College. 1984-1990 Member and past board chairman for the Cameron Willacy Counties Community Projects, Inc., (CWCCP), The Community Action Project (CAP) for Cameron and Willacy Counties, Texas. 1986-1988 Member and Vice-Chairman of the Lower Rio Grande Valley Development Council. The Council of Governments (COG) for the Lower Rio Grande Valley of Texas. 1988 Member, The Valley Primary Health Care Review, Review Committee, Lower Rio Grande Valley Development Council. 1985-1987 Founding Member of the Board of Directors of RGV Educational Broadcasting, Inc., KMBH, Channel 60, Public Television, Harlingen, Texas. 1985-1987 Member of the board of directors of Amigos del Valle, Inc., services for the elderly in the Lower Rio Grande Valley of Texas. 1985-1984 Member of the board of directors of the Brownsville Health Facilities Development Corporation. 1984-1983 Member, Brownsville Independent School District, Curriculum Committee. 1983-1982 Consultant for the Quality Control of the Body Measurement Section of the Hispanic Health Survey, HANES III, (Hispanic HANES) U.S. Department of Health and Human Services, Washington, D.C.
1980 Chairman, Advisory board of directors of the Rio Grande State Center for Mental Health and Mental Retardation. 1980 Member, Research Taskforce, National Association of Community Health Centers. 1980 Co-Chairman, Session on Borderlands Research Projects, Annual meetings of SCOLAS, Austin, Texas. 1979 Co-Host, Annual meetings of the Cibola Anthropological Association meetings held in Brownsville, Texas. 1979-1977 Vice-Chairman, Brownsville Citizens Advisory Committee, (BCAC) Community Development Block Grant process, U.S.D.H.U.D. 1978-1977 Member, Lower Rio Grande Valley Development Council, Regional Alcoholism and Drug Abuse Advisory Committee. Featured Screening Cinesol Latino Film Festival, South Padre Island, TX, 2000. Featured Screening Margaret Mead Film Festival, American Museum of Natural History, New York City, NY, 1999. Featured Screening Cinesol Latino Film Festival, South Padre Island, TX, 1999. Featured Screening Freiburg Film Forum, Freiburg, Germany, 1999. Symposium, South Padre Island, TX, 1998. Featured Screening San Antonio Cine Festival, San Antonio, TX, 1997. Film Festival, Oakland, CA, 1997. Documentary Film Utah Short Film and Video Festival, Salt Lake City, UT, 1996. Film Festival, Oakland, CA, 1996. Featured Screening Chicago Latino Film Festival, Chicago, IL, 1996. Featured Screening Harvard University’s Peabody Museum, Boston, MA, 1996. History, New York City, NY, 1995. Mort Rosenfeld Award Utah Short Film and Video Festival, Salt Lake City, UT, 1995. Delgado Van Wagenen, Monica, 2000, “The Sacred and the Mundane: Appearances of Deity in Ordinary Objects in the Lower Rio Grande Valley of Texas,” MAIS Thesis, The University of Texas at Brownsville. Van Wagenen, Michael, 1998, “The Texas Republic and the Mormon Kingdom of God: The Attempt to Establish a Theocratic Nation in the Texas-Mexico Borderlands in 1844,” MAIS Thesis, The University of Texas at Brownsville. 2009 Premio Ohtli, Awarded by the Republic of Mexico. Awarded to persons who have dedicated professional activity that “abrir brecha,” or is a pathfinder outside of Mexico and has been involved in activities dedicated to the betterment of Mexicans outside of Mexico. 1993-1986 The COPRIMA project grant for primary health care for indigents living in South Texas Colonias. Texas Department of Health, approximately $3 million dollars over 11 years. Coordinating Board Advanced Research Grants. Studies at the University of Texas at Austin. 1985 Award of Merit from the American GI Forum. 1983 Grant from the U.S. Department of Health and Human Services for the study of the Health Needs of Brownsville, Texas. 1979 Outstanding Young Men of America Award. 1975 Outstanding Graduate Student Award, The University of Texas at Austin. 1974 Finalist, Ford Foundation Dissertation Grant.